Image source: web version of WSJ article quoted and cited below. (p. P16) For at least half a century, academics, aesthetes and all-purpose agonizers have looked at our ever-sprawling cities with disdain and even horror. The spectacle of rings and rings of humankind nested in single-family homes has inspired in them all sorts of revulsion and, relatedly, a whole discipline of blame: Suburban sprawl has been faulted for exacerbating racial tension, contributing to energy shortages, worsening pollution and heating up the globe — even expanding waistlines. Largely missing from this debate has been a sound and reasoned history of this pattern of living. 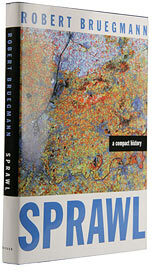 With Robert Bruegmann’s “Sprawl: A Compact History,” we now have one. What a pleasure it is: well-written, accessible and eager to challenge the current cant about sprawl. What propels that curious history is something often overlooked by the makers of grand theories — the particular choices of individual human beings. Mr. Bruegmann places the urge to sprawl squarely where it belongs: on people’s logical desire to escape the high costs, crime, pollution, congestion and lack of privacy that accompanies life in dense cities. JOEL KOTKIN. “In Praise of ‘Burbs. Academics, planners and tastemakers may vilify suburbia as an American blight. But even the Romans knew: It can be nice to get out of the city.” The Wall Street Journal (Sat., December 10, 2005): P16. “Sprawl” is remarkably similar to John Tierney’s article in the NY Times roughly a year ago called the Auto Manifesto. Both take common perceptions developed by intellectuals and show how ill informed these intellectuals and their followers are. 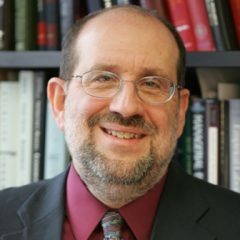 Previous Previous post: Is Democracy a Normal or Inferior Good?